How would you rate your experience with California Pacific Airlines ? 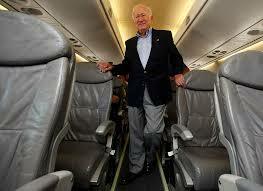 California Pacific Airlines was founded in 2009 by San Diego businessman Ted Vallas. 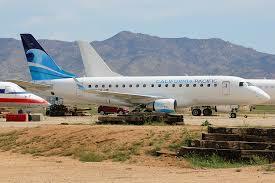 Vallas wanted a San Diego based airline, rather than a Los Angeles based one. After investing $14 million of his own money, he hoped to raise $32 million more from other investors. The airline struggled to achieve certification from the FAA and had additional difficulties securing routes out of Palomar airport and a fleet of planes. At the end of 2017, the airline finally decided to acquire another airline, ADI Aerodynamics, rather than continue to search for affordable planes. This gave them FAA approval and the fleet was ready to fly. The company gained permission from San Diego County to operate commercial services, and scheduled their first routes. The airline formally began its first commercial service in November 2018, with nonstop flights between Carlsbad and a select number of destinations in the southwestern United States. California Pacific sweetened their ticket price by offering two free checked bags and one-way fares starting at $99. Suddenly, in late December 2018, the airline announced that it was temporarily suspending flights due to a pilot shortage. No restart date has been given as of early January 2019. Question 1: What is the phone number for California Pacific Airlines? Answer 1: The phone number for California Pacific Airlines is (760) 814-2052. Question 2: Who is the CEO of California Pacific Airlines? Answer 2: The CEO of California Pacific Airlines is Ted Vallas. Question 3: Who founded California Pacific Airlines? Answer 3: California Pacific Airlines was founded by Ted Vallas in 2009. Want to make sure California Pacific Airlines sees your comment or complaint?